Mould isn’t just an unsightly problem – it’s a serious health risk. It can affect the respiratory system, causing sneezing, coughing, headache, fatigue and wheezing, as well as respiratory infections. In particular, young children, the elderly, people with asthma and allergies, or people with compromised immune systems are at risk of developing mould-related health complications. Learn about one couple’s experience when mould took over their home. Click the article to read more. What are the health dangers of mould? Many tenants will express concerns about the dangers of mould and these fears are well-founded. In some cases, VCAT and NCAT will award compensation to the tenants who suffer ill health as a result of untreated mould. The tribunal member may also order reimbursement of rent and relocation expenses. 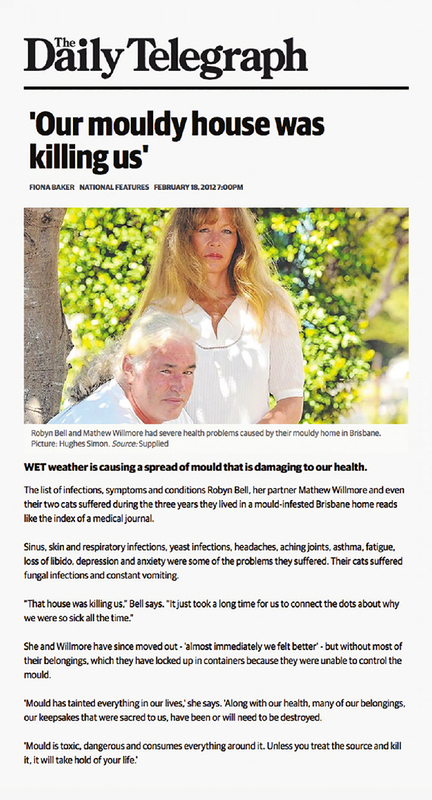 An article published in Melbourne’s Herald Sun titled ‘Is Household Mould a Health Hazard’? The couple (pictured), suffered from Sinus, skin and respiratory infections, yeast infections, headaches, aching joints, asthma, fatigue, depression and anxiety. How can The Mould Doctor help? 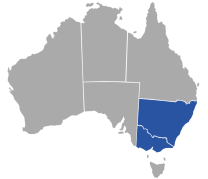 We will inspect the property, and provide a comprehensive report with recommendations on treating the mould and fixing the cause. We have the expertise, the experience and the equipment to make the property manager’s day less stressful. There is a lot of talk about mycotoxins, which can be released by the mould spores when the actual spore itself is dead. We have all heard about them and they continue to be a problem with most methods and products used in Mould Remediation. Mycotoxins are very real and can be very detrimental to the health of humans. Scientists do not yet know how many mycotoxins may exist, although currently there are approximately 250 that have been detected. Moulds that have been known to potentially produce these toxins are Acremonium, Alternaria, Aspergillus, Chaetomium, Cladosporium, Fusarium, Penicillium, and Stachybotrys. Even though these moulds may potentially produce mycotoxins, they will not do so unless specific environmental conditions exist. Our product works differently to others used in the Mould Remediation industry. Because of the hyper-wetting agent in our product, it encourages the shell of the spore to open up. Our product then encases the harmful mycotoxins, before having a chance to become airborne, by attacking them straight away whilst they are vulnerable. Other methods of remediation basically attack only the shells, leaving the contents of the shell (spores containing the harmful mycotoxins) to happily release the mycotoxins into the environment thereby causing the toxic problem. With more than 30% of buildings affected by mould, it is now belatedly being recognised as a serious health risk, says Dr Peter Dingle PhD. Moulds are perhaps the most opportunistic of the microorganisms, and are found virtually everywhere, indoors and outdoors. They thrive wherever there is the least bit of moisture and nutrition – in fact, they are tiny, enzyme producing and cellulose eating factories. There is a mould for every occasion and almost every material. They work continually on organic materials, breaking them down. Moulds are vital in the process of decomposition and recycling of organic material, and are essential and beneficial for life. Indoors, however, where their populations can concentrate, moulds become a problem. Fungi are the most frequent cause of biodegradation of building materials. This “biocorrosion” happens to building materials, such as wood, chipboard and plaster, as organic and inorganic acids are released from the fungi. This is not surprising as fungi are capable of breaking down rock in nature. Ideal conditions for fungi growth are damp, humid conditions. In recent years, the opportunity for growth of fungi and hence mycotoxin release has increased with increased flooding and thermal modernisation of residential buildings. 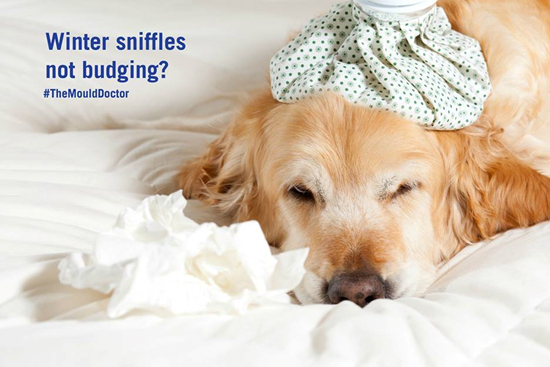 Allergies and mycotoxicosis can be caused by extended periods of mould exposure. There are over 1.5 million species of mould in the world. 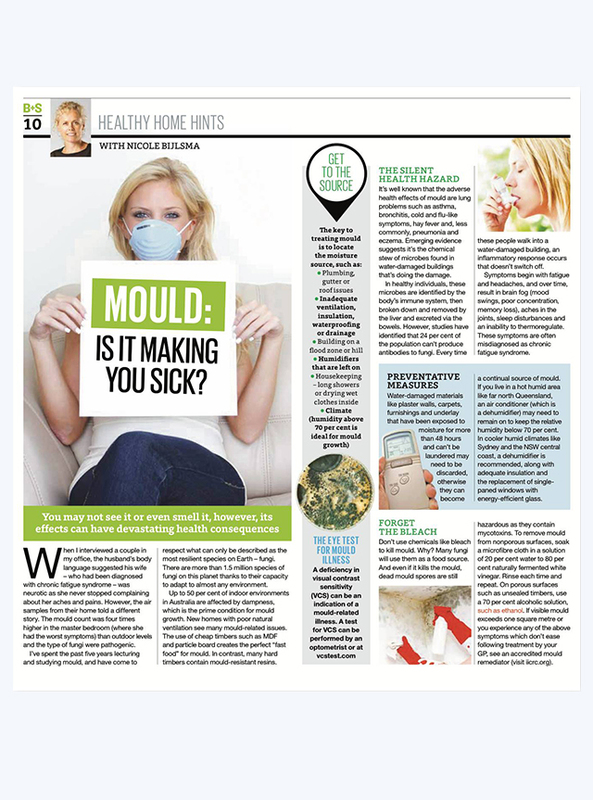 Many people wrongly assume that the only mould that’s bad for health is black mould. In reality, mould comes in a variety of different colours and species – and they’re all potentially damaging to the health of people exposed to them. At The Mould Doctor, it’s our job to remove all visible mould, regardless of its species. Being able to thoroughly remove mould – be it allergenic, pathogenic or toxigenic – means reducing the health implications of all those exposed to it. That’s better for everyone. 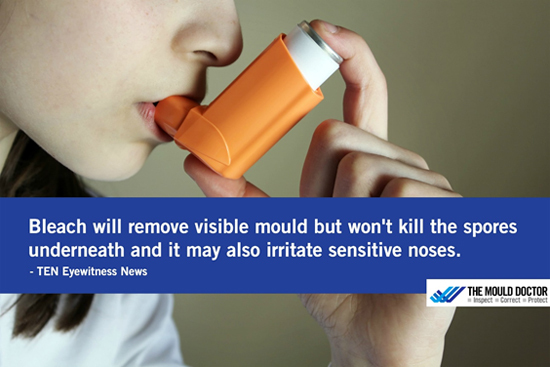 A problematic mould for asthma sufferers or those with allergies, allergenic moulds can make everyday existence a real battle. Children are particularly affected by allergenic moulds. If your immune system is weak, pathogenic moulds can wreak havoc on your health. Pathogenic mould can cause hypersensitivity pneumonitis, which resembles bacterial pneumonia. Producing mycotoxins which will make anyone ill, toxic moulds are a very serious matter. Reactions to toxic mould can include cancer and immune suppression. If your property is showing signs of a mould, the time to act is now. Contact The Mould Doctor for your free inspection and quote today. Mould has been hitting the headlines this month as wet weather plagues Australian households. TEN Eyewitness News has featured Sydney’s mould outbreak, warning the community of the silent symptoms of mould and steps to take to minimise their risk. Read the full article on Channel TEN here, and if you’re one of those battling mould in your property, book your free mould inspection with The Mould Doctor!